The theatre is a place where children and adults alike can imagine, create and form lasting friendships. 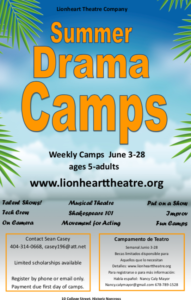 At Lionheart, we want to inspire kids of all ages to participate in our numerous children’s theatre programs, such as drama camps, ongoing classes and productions. Whether your child is interested in producing, directing or standing in the spotlight, there will always be a place for them to learn and thrive. 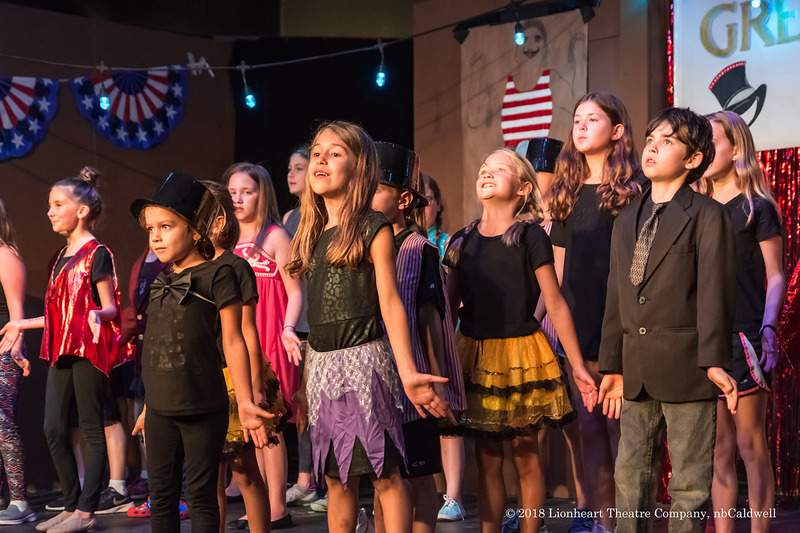 Whether your teen is experienced in belting out musical classics or they have never been on the stage before, Lionheart’s Children’s Theatre, located in the heart of historic Norcross, welcomes them. Creative fun and theatre basics. Skits, improv, games and more! Laugh lots and learn lots about improv and clowning. *Performance at the Friday evening talent show for those who are available. Singing, dancing and performing through song! Learn a great musical theatre number. Do your only solo, act, joke, play an instrument, or anything! All for fun, no pressure. Plus the Musical Theatre and Improv classes will perform. Bring favorite stories to life on stage! Learn the essentials of being a stage actor including stage directions, movement, scenes and monologues. Learn how to use movement on stage to be a better actor. How to pick up a cup to taking a fall. Fun and physical exercises and interaction. Learn the basics of how to perform Shakespeare with scene work and monologues. 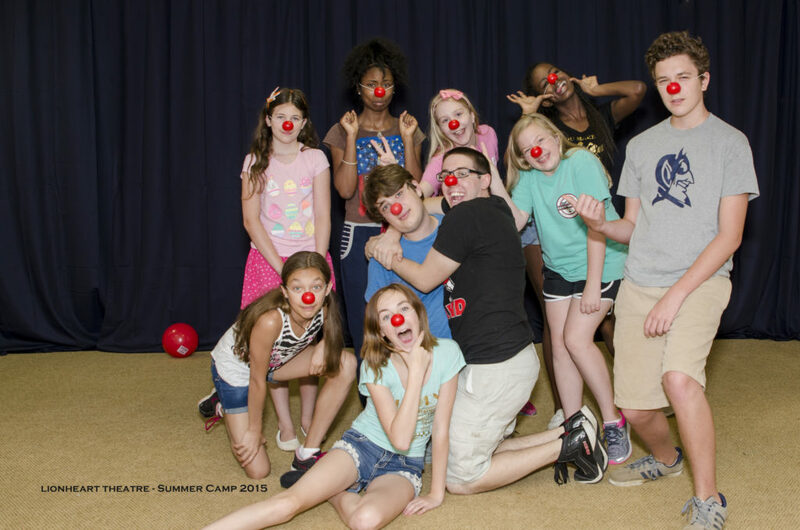 Optional FREE second week to work as the crew of Let's Put on a Show camp. Behind the scenes for Let's Put on a Show camp. Learn about and work on set design and construction, props, lighting, sound, stage management, marketing, and front of house. Master classes with industry pros. Skits, improv, games and more. The film industry is in Norcross! Learn the basics of acting on camera with an industry professional. In 25 hours, put together a one-act play. Everyone gets lines in the show. Perform for the community Friday, June 21st at 7:00 pm. On that Friday, performers can stay for a movie and pizza until showtime. Optional Free 2nd week for last week's The Crew. **LIMITED SPACE! Sign up now! Performed by the "Let's Put on a Show" Camp. Performance is for friends, family and community. Anyone can learn the basics of tap in this fun, low pressure class. Performance at the Friday evening talent show for those who are available. Cost: $5 at door. $20 max per family. Mr. Sean Casey: casey196@att.net or (404) 314-0668. Please include parent name, camper's names, camps and phone number. Norcross is a big and diverse town. At Lionheart we are committed to being a community theatre for our ENTIRE Community. Last year, we were able to partially or fully sponsor 25 children to our camps from just a few donations. This year, we'd like to triple that number. Please consider making a donation to help send a child to camp this year. All donations are 100% tax deductible. Feel free to donate via check at 10 College Street, Norcross, GA 30071. Make sure to include "2018 Camp Sponsor" in the memo section of your check. 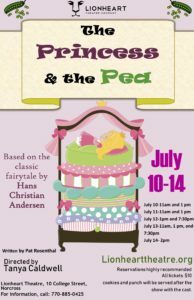 Lionheart will be holding auditions for our July summer production of The Princess and the Pea, on May 5th at 6pm and May 6th at 7pm. 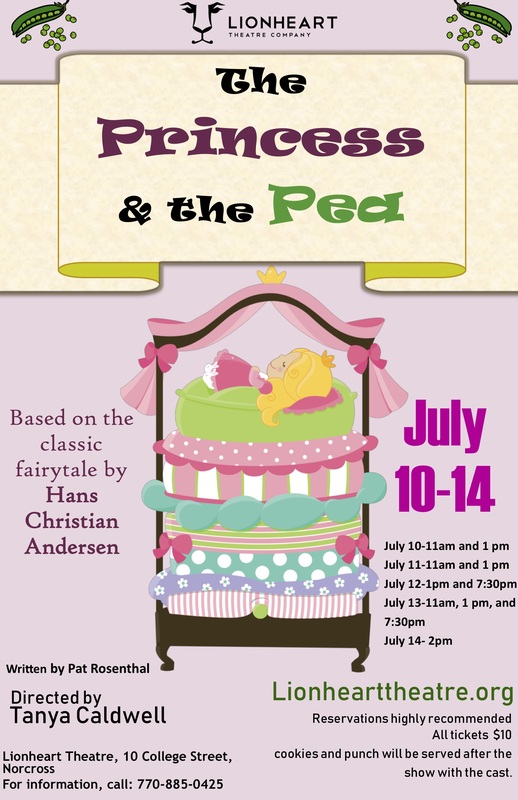 This production has roles available for actors ages 10+. For more information, please visit our audition page. Besides being crazy amounts of fun, theatre also has tons of great benefits in terms of development and socialization. It’s probably no surprise that activities like improv and other drama courses can boost self-esteem and confidence. The theatre is a place where inner silliness and creativity are embraced. When children learn to be more confident in themselves, it translates to other aspects of their lives, like school, communication and social situations. In addition to confidence and creativity boosts, practicing theatre can help in other useful ways. If your child decides to participate in one of our Children’s Theatre productions, chances are they’ll have to learn parts of a script. When they see what they read come to life on the stage, they’ll likely improve their reading comprehension elsewhere. It might even make them more interested in reading off the stage, too! Ultimately, the benefits of theatre are endless. But besides that, it’s a lot of fun. 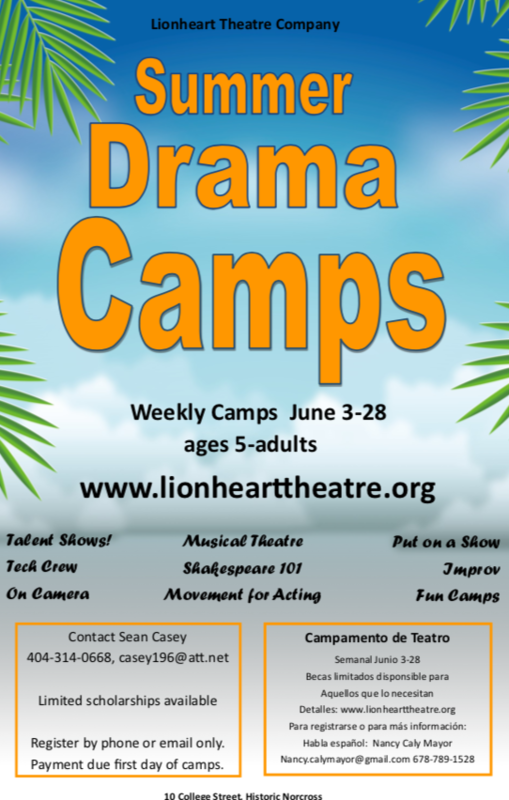 Check out our upcoming camps, auditions and plays, and sign up your child up today to be a part of the extended Lionheart family!